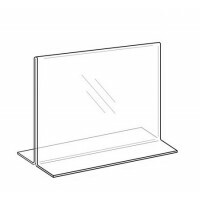 This 8½" x 11" Sign Holder is an excellent solution for permanent or temporary display of signs, specials, or other messages. This item is very popular for all types of businesses. It mounts, with four suction cups, on a glossy nonporous surface. Not for use on walls, furniture, or other porous surfaces. Works best on glass and glass like surfaces. 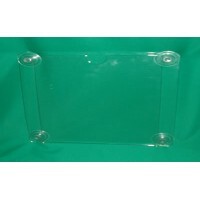 When you need to inform your customers this Sign Holder will do the job for you even when you are out of the office. 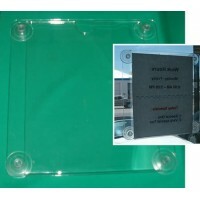 This clear acrylic Sign Holder can display information on both sides, just insert two pages or double sided sign. 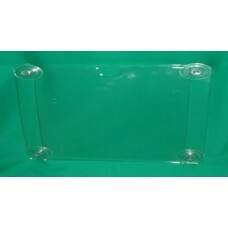 Included four suction cups will allow you to change inserts while Sign Holder is attached to the glass. 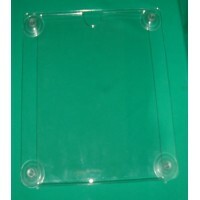 Holds 8½" x 11" (Letter size) horizontal inserts. Please call for different sizes, minimum quantity applies.